Perched high, I sit upon Temple of the Sun. 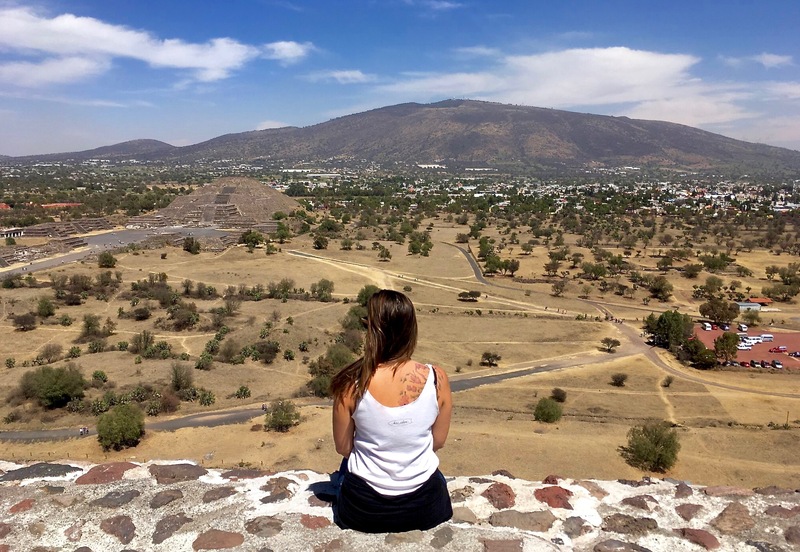 My view overlooks the Avenue of the Dead and the Temple of the Moon. 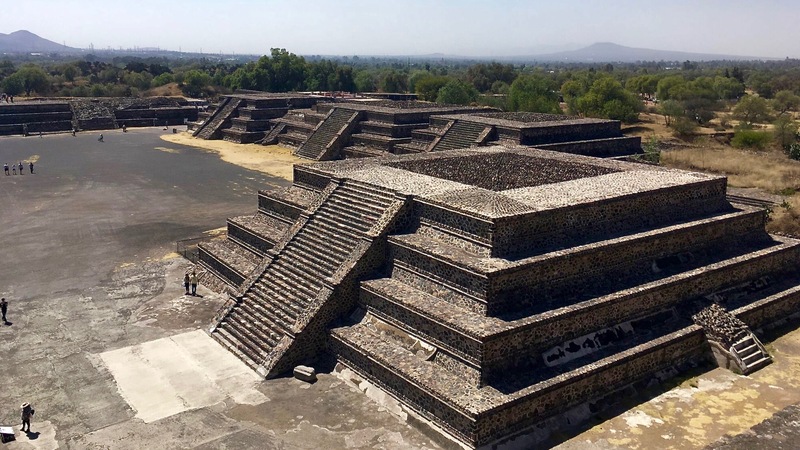 This is Teotihuacan, an ancient Mesoamerican city in Mexico. 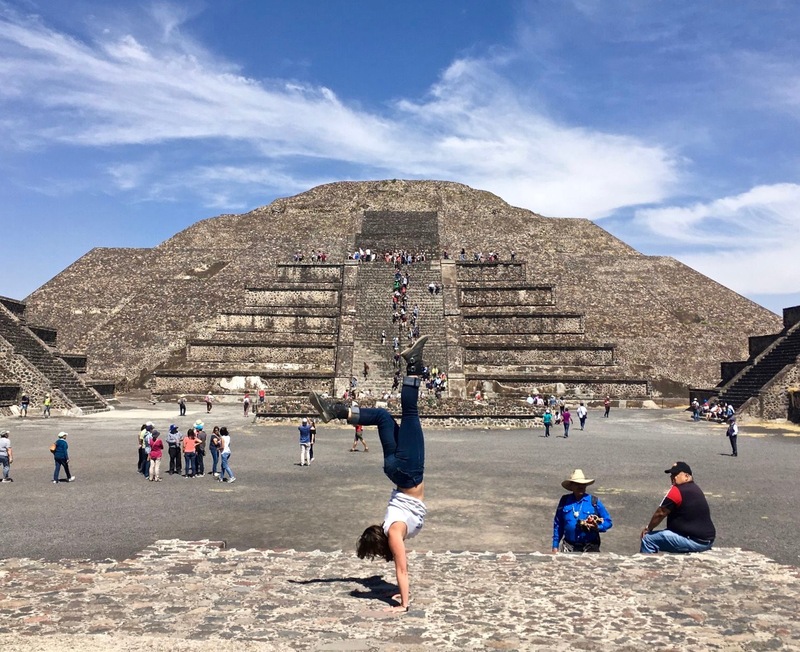 It is a sprawling complex that was once a flourishing pre-Columbian city. The sky was a magnificent hue of blue, streaked with puffs of thick, white cloud. There was a thin ring of haze along the lower edge of the horizon, a soft but vibrant pink. Woven into the bright layer of glowing pollution hid a subtle reminder that just beyond this once thriving, ancient civilization lies our current one. 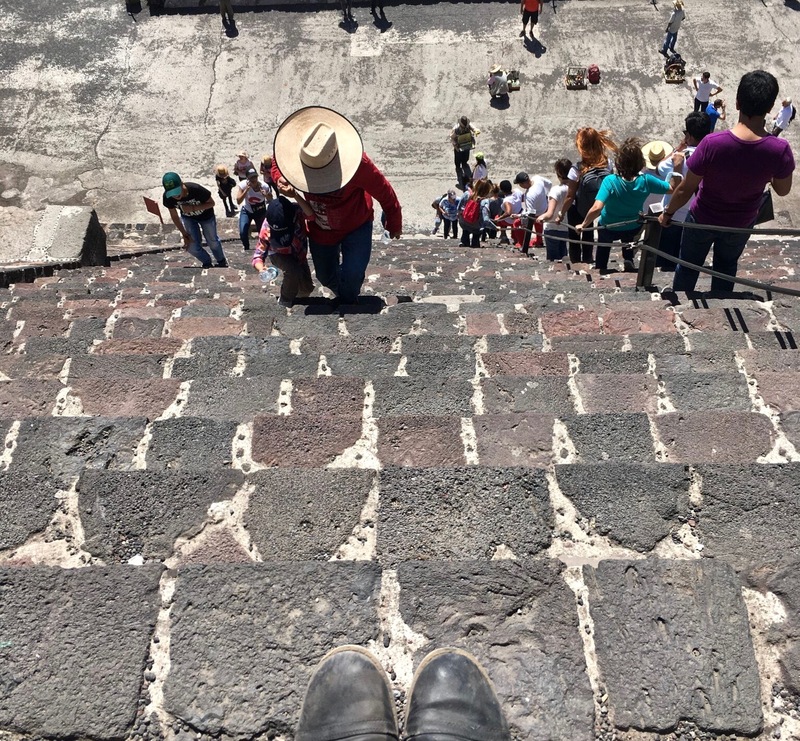 Overpopulated, busy, and sprawling, Mexico City bustles just 25 miles (40 km) to the northeast. 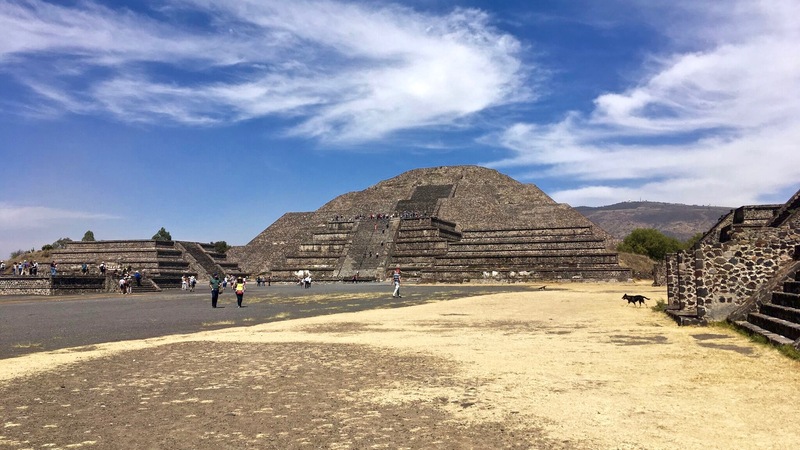 It’s a short journey as the crow flies but the bus from the heart of Mexico City to Teotihuacan took over two hours. I sat on a large bus that hovered over the rest of traffic. From my seat, I could see the faces of tired, impatient commuters inside of passing cars. People trapped like sardines amongst an endlessly packed river of moving metal boxes, releasing little plumes of toxic smoke. The brown-glazed flow of traffic went on past miles of stacked, concrete homes. Too many people and not enough space. 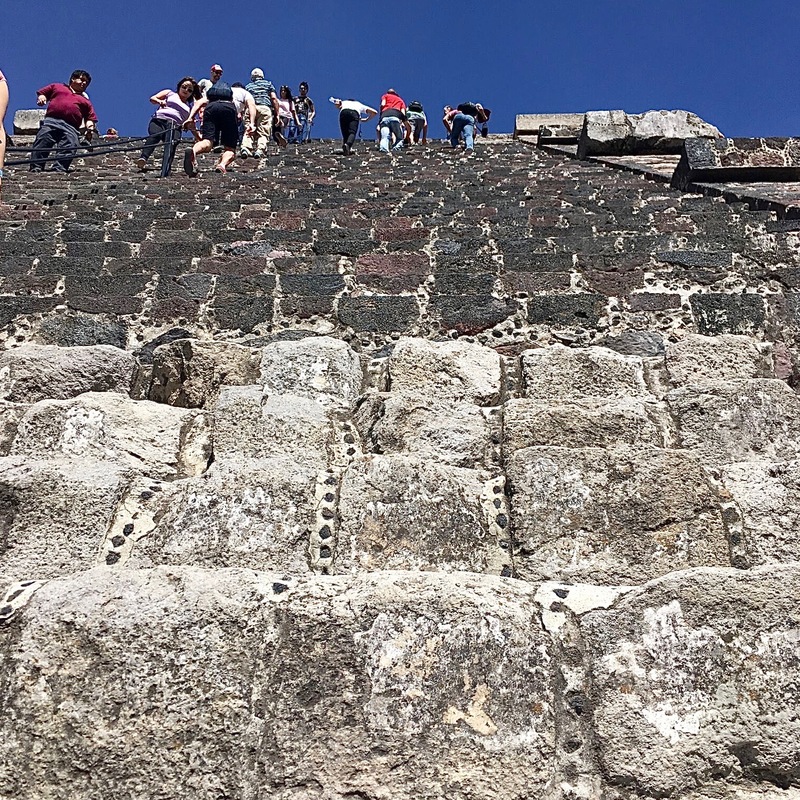 We were exiting a high functioning, ever-evolving and overwhelmed metropolis towards Teotihuacan, the world that once stood as the apex of human existence. My mind burned with one searing thought: keep this mess up and we too will suffer a devastating end. What will be our tipping point? How could such a developed and intelligent society disappear, leaving behind such incredible structural evidence of their capabilities and accomplishments? 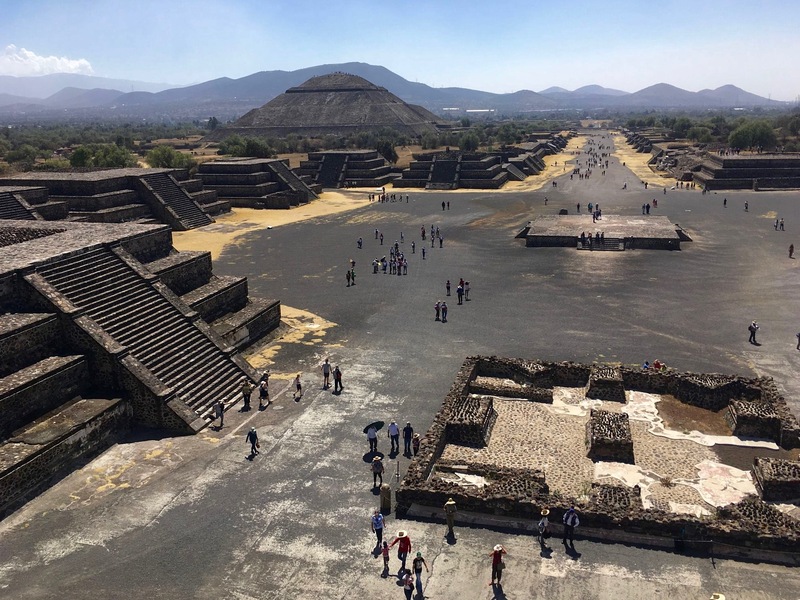 How will our existing society sitting in the backdrop of this ancient marvel, the almighty Teotihuacan, survive? Are we humans doomed to repeat the same mistakes, letting power and greed overcome, leading to our inevitable demise or can we learn from what those before us left behind? 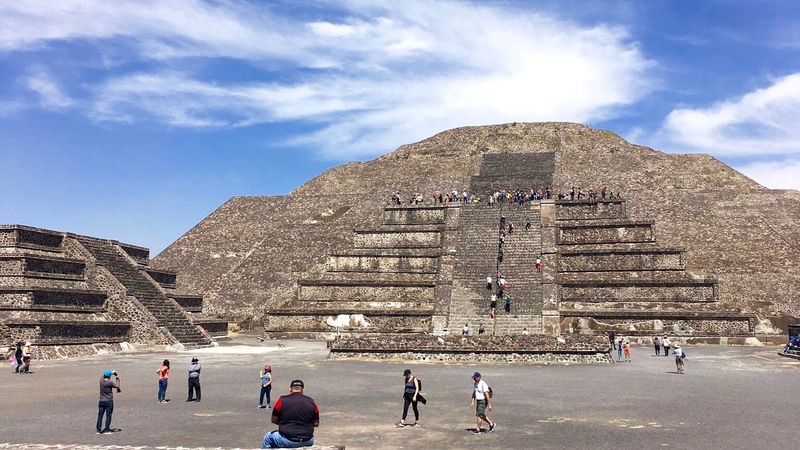 Teotihuacan was built between 100-200 AD and lasted until about the 7th or 8th centuries AD. Evidence of systematic burnings and smashing in parts of the city belonging to the rich and ruling class insinuate that there was an internal uprising against a growing, oppressive government leading to abandonment and ultimately the collapse of the most influential city of its time. I wonder what a protest or riot might have felt like at that time, what fueled the greatest rage amongst civilians, and what pushed them to fight back? 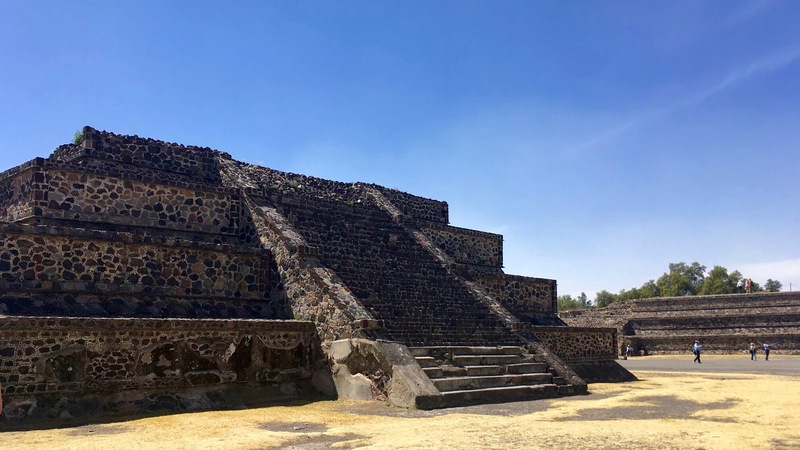 For much of the Teotihuacan era, people were prosperous and in good health. What happened to them? I wish I could walk these stairs, in their shoes, feel their struggle, their worry, their hope for something better. How have we changed and are we really any different as a society now?